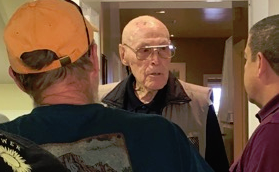 Only a few months shy of his 100th birthday, World War II veteran Bob Pinckney recently spent a few hours reveling in the gracious hospitality and gorgeous October weather at the Miner Family Vineyard north of Napa. Bob, a resident of the Veterans Home of California in Yountville, joined my family and me for a tour of the winery, courtesy of owner Dave Miner. While Dave and I share the same last name, any exact link between the Miners remains unclear. But on this afternoon, the group savored outstanding wines and conversation as Dave acquainted us with the history of the winery and Bob, the Navy’s Black Cats. I had the pleasure of meeting Bob for the first time in 2014. 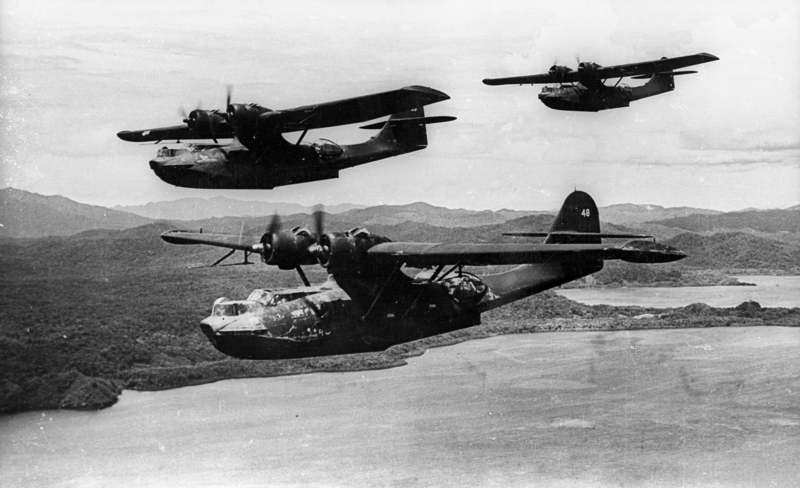 He and my father, Howard Miner, flew together as part of VP-54, a squadron that gained their name from the darkened PBY Catalinas they flew at night, each painted entirely black. Great story & wonderful to hear from you & your most recent endeavor to preserve the history of The Black Cats. Somewhere members of VP-81 like my Dad Lt Cdr Frederick (Bud) Linden Jr.: his CO Gene Rankin; & communications officer Frank Button are smiling. Keep up the good work. Fred’s Dad was a Black Cat and happened to have several reels of original 8mm film shot in color in the 1940s that Fred most graciously shared with me. A short trailer clip will appear here soon including some of that footage. Good looking site here. Congratulations! VP-12 (in memory of my dad) reporting for duty. Let me know how I can help out. I’d be happy to do a photo download of what my dad passed on. Could be some ’42/’43 Guadalcanal originals in the batch for your archive. Good to hear from you again. And thanks for your help with the book. Thanks for catching up with us. Photos are always a great addition and John will do something fun with them, I’m sure. If you haven’t already done so, please look over the new “Book Shelf” page. We will have descriptions and comments on each book as I get to them, including yours!